Eliminate any obstacles or debris that may interfere with the correct use of a ladder. Find a large space where you can handle and manipulate large sections of vinyl siding once you have removed it from the house. You may have to temporarily move patio furniture, large pots, etc. Find the specific coating section that needs to be removed or select your starting point to remove it from top to bottom. In addition, you should look for the flange above the selected section. Raise the selected section of vinyl siding to expose your anchor nails. Use a tool to remove vinyl siding or a zip tool to lift the siding by sliding this tool between the space of the selected section and the section just above it. Pull the vinyl top section firmly down to unlock it from surrounding pieces, particularly the section selected below it. Continue pulling gently along the entire piece until the liner hangs freely. 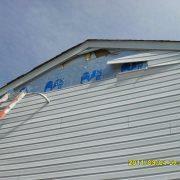 Lift the separate part of the siding to expose the top of the siding section you wish to remove. The anchor nails of the selected section should now be clearly exposed. Remove the anchor nails with a hammer. Do it from left to right, being careful not to miss any nails. Remove the part no longer anchored from the coating and discard it properly. If the lining does not come off easily, you may have to slide the piece through the molding of the channels at each end. Repeat the process row by row until all other sections of vinyl siding are removed. 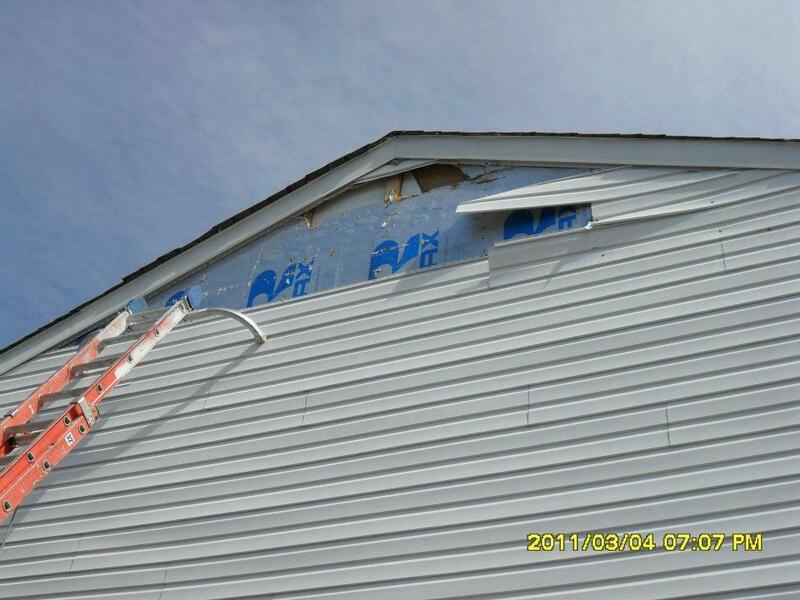 If you are going to remove more than one section of vinyl siding, start from the top and continue down. Remove the moldings of the left, right and top channels, as well as the lower initial strip.